Chrysler claims it's nearing the minimum level of cash it needs to run the company and will have trouble paying bills after the first of the year. DETROIT — Chrysler says it'll close all 30 of its manufacturing plants for a month starting Friday, including its factory in northern Illinois. Company officials said Wednesday that operations will be idled at the end of the shift on Friday, Dec. 19, and won't come back online until Jan. 19, 2009, or later. 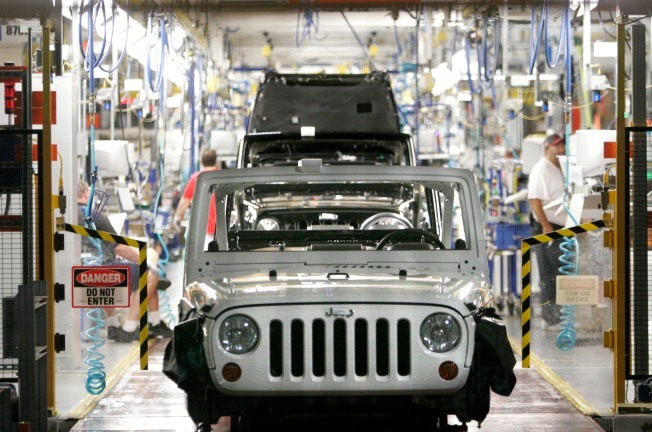 Chrysler's Belvidere, Ill., plant assembles the Dodge Caliber, Jeep Compass and Jeep Patriot. Last month, the company offered buyouts to all 2,600 of its Belvidere employees. Chrysler says tighter credit markets are keeping would-be buyers away from their showrooms. The company claims it's nearing the minimum level of cash it needs to run the company and will have trouble paying bills after the first of the year.